While two scientists speculate that the mysterious space rock Oumuamua which cruises across our solar system may be some kind of alien craft, at least one astronomer stepped forward to debunk their claim. "Like most scientists, I would love there to be convincing evidence of alien life, but this isn’t it," Alan Fitzsimmons, an astrophysicist at Queens University, Belfast, told AFP. "It has already been shown that its observed characteristics are consistent with a comet-like body ejected from another star system." Fitzsimmons’ commentary came in response to a theory brought forward by Shmuel Bialy and Abraham Loeb, a pair of astronomers working at the Harvard Smithsonian Center for Astrophysics, who believe that Oumuamua could be a spacecraft that relies on radiation pressure for power that has been sent from an alien civilization looking for signs of life in our solar system. This development also led notable American astrophysicist Katherine Mack to remark that “scientists are perfectly happy to publish an outlandish idea if it has even the tiniest *sliver* of a chance of not being wrong." "But until every other possibility has been exhausted dozen times over, even the authors probably don’t believe it. So if you see a headline saying that “scientists claim…” and it’s one paper and it’s an EXTREMELY BIG CLAIM, please keep in mind that the only thing you can conclude is that the authors of the paper (probably) didn’t see a reason the idea had to be 100% false," Mack tweeted. So if you see a headline saying that “scientists claim…” and it’s one paper and it’s an EXTREMELY BIG CLAIM, please keep in mind that the only thing you can conclude is that the authors of the paper (probably) didn’t see a reason the idea had to be 100% false. — Katie Mack (@AstroKatie) 6 ноября 2018 г. ​Oumuamua, which means “messenger from afar” in Hawaiian, was first discovered in 2017 by researchers with the Panoramic Survey Telescope Rapid Response Systems (Pan-STARRS), located on Maui. 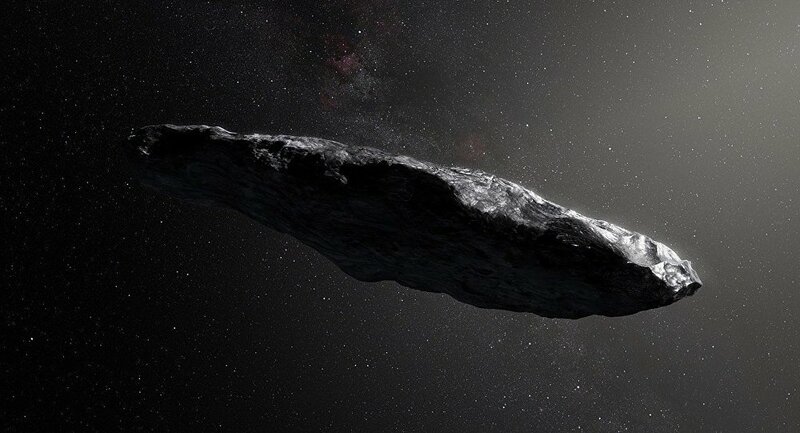 The cigar-shaped space rock which was designated as a comet by astronomers is apparently the first known object from another solar system to pass through our own.